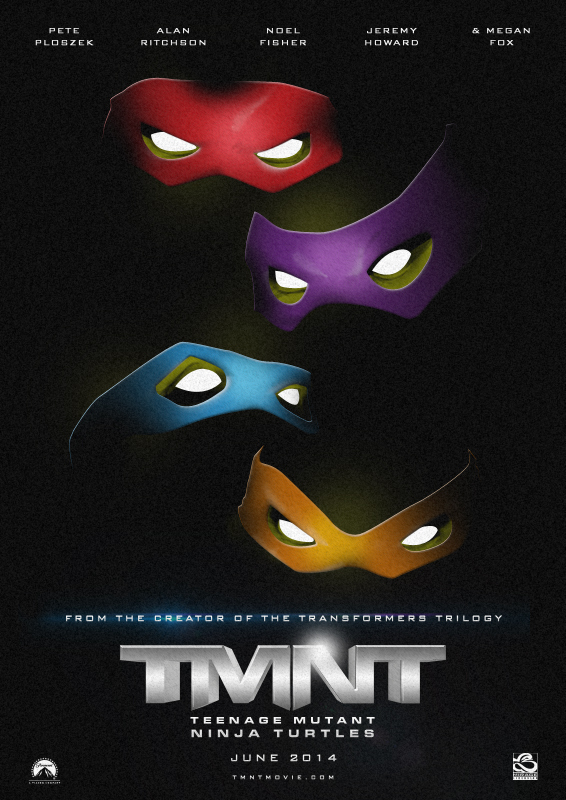 So the trailer for the upcoming Michael Bay produced Teenage Mutant Ninja Turtles (2014) dropped this week. And despite myself I can’t help but be a little excited by this. It will almost certainly be another terrible ordeal of ‘Bayhem’ and it seems impossible it could possibly be a patch on the live action original that is so beloved by me and many others. But as someone who loves the Teenage Mutant Ninja Turtles, I can’t help but be just a little bit psyched. Not so much the appearnce of the CGI turtles which is a little terrible. But because o f the big budget approach that is being taken with the property. There is an off chance that this will be loads of big budget fun with plenty of Turtles attitude. I will cling to that faint hope anyways. Thoughts all? Me not being among Bay’s big supporters, I might still go see this anyway because it could be some goofy blockbuster fun. The turtles seem huge!!!!!!! And then there’s Megan Fox in it. She’s hopefully not so huge. Yeah I am definitely not a Bay fan. My love of the Turtles will get me to the cinema for this one though. Megan Fox is definitely another contributing factor…. She is probably a contributing factor for teenage boys like yourself worldwide man. not embarrassed to say; definitely.